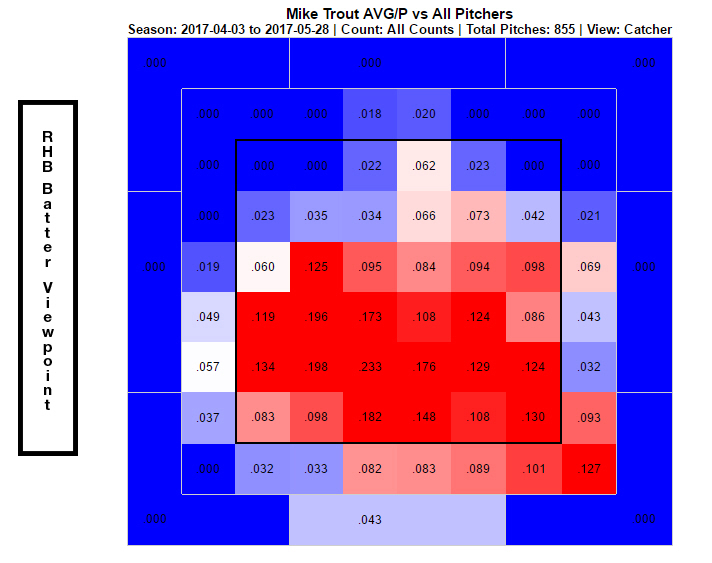 Apparently the best he hits against pitches in any given location is 0.233 this season (as of 4/28/17), but his overall average is more than a hundred points higher at 0.337. How is that possible? I couldn't easily find how AVG/P was calculated on these maps. But standard averages are per at-bat, while these are per pitch. So I would expect the per-pitch numbers to be much lower.